Vitax Leaf Wipes: pack of 80 - cleans and shines houseplant leaves. Leaf Wipes can be used on smooth-leaved houseplants to keep them looking vibrant and healthy. 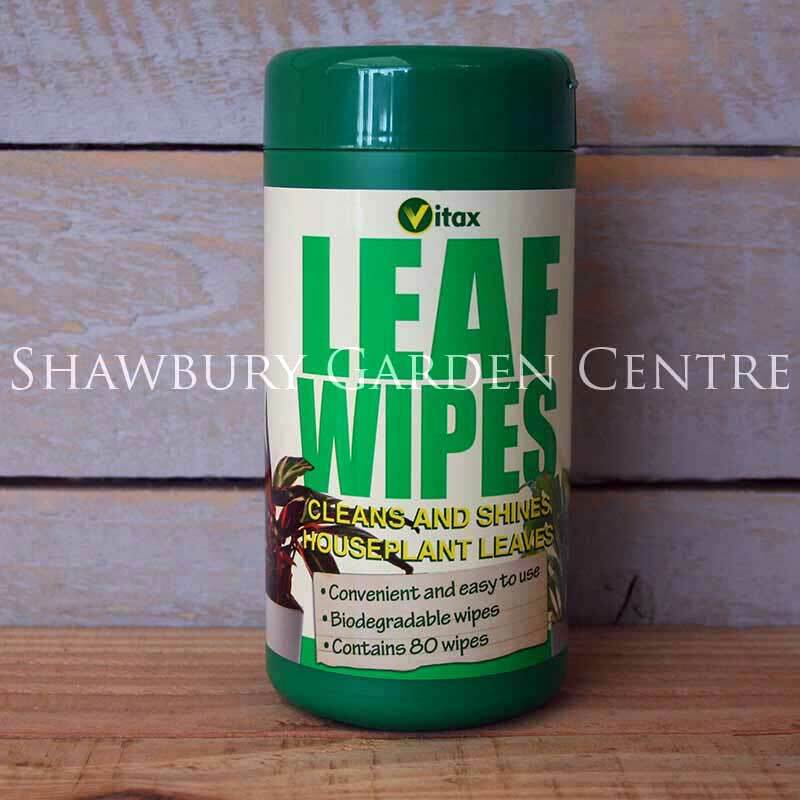 If you would like further information about Vitax Leaf Wipes, please contact our garden centre at Shawbury just outside Shrewsbury in Shropshire, by calling 01939 251315 or emailing.